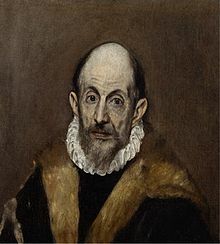 El Greco (1541 - Appril 7, 1614) ek painter, sculptor or architect rahe the Spanish renaissance ke waqt. El Greco unka prachalit nickname tha, unka asli naam Doménikos Theotokópoulos tha. Ii panna ke 22 June 2016, ke 18:04 baje, pichhla time badla gais rahaa.